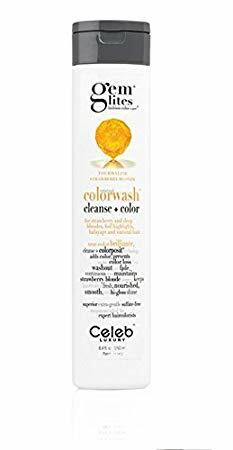 Introducing NEW Celeb Luxury Color Colorwash with Colorposit technology. The new category - a scientific revolution in hair color adds rich color while cleansing with hi-conditioning results. Start washing in without fading out! Has superior attributes to produce hi-conditioning, soft satin hair with high coloposits and anti-tanglers.